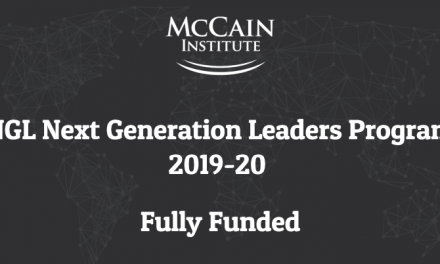 Call for applications for the fully funded Swedish Institute Leader Lab 2019 in Sweden. 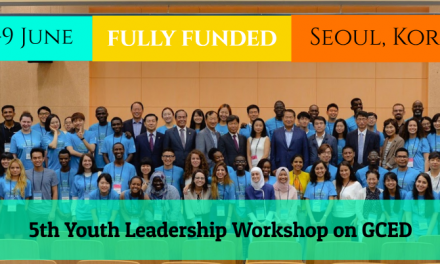 SI Leader Lab 2019 will bring together 60 young influential civil society leaders in South Asia, the MENA region and Sweden who are active advocates of gender equality. 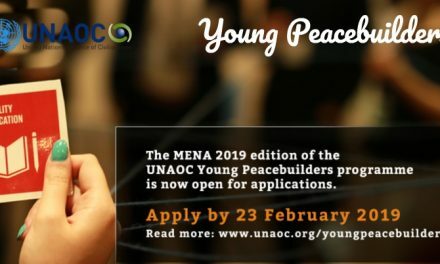 The overarching objective of the leadership program is to strengthen leaders who are working for peaceful and inclusive societies. SI Leader Lab is a blended learning programme that runs over eight months, mixing online meetings with two separate assemblies in Sweden. Work in smaller learning groups based on region and thematic focus will be combined with sessions that include all participants. The training is founded on experience-based and collaborative learning and will allow you to explore real challenges and areas of development for your own organization in an innovative and supportive environment. The programme is as much about personal as professional development. It is about growing as a person with renewed confidence and insights and growing as a leader with new tools, methods, and perspectives. 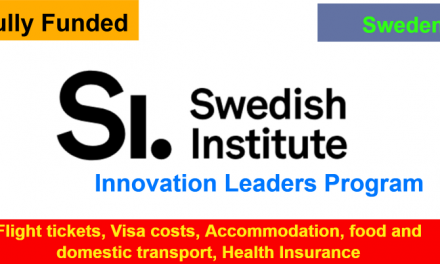 The SI Leadership Lab is a fully funded leadership program in Sweden. Costs covered and arranged by the Swedish Institute. Have a leading position (formal or informal) in a civil society organization or network working for gender equality. Are prepared to forward competences and knowledge you gain from the programme to your team, organization or other relevant actors. How to Apply Swedish Institute Leader Lab 2019 in Sweden? The candidate’s possibility to both benefit from and contribute to the programme. In the final selection, the evaluation committee will also consider group composition and will strive to put together participants with the greatest possibilities for dynamic exchange and learning, as well as for continued collaboration and networking. Out of all applicants, only shortlisted candidates are called for interviews as a second step in the selection process. The interviews are conducted through Google Hangouts or Skype. Due to a large number of applications, we are unfortunately not able to send personal replies to all applicants. SI will contact 60 selected applicants by email or phone and offer them a place in the programme. SI will also compose a list of reserve candidates in case a second selection round is needed. Unfortunately, because of the large number of applicants to a limited number of seats, we have to turn down many highly qualified persons. Please note that the offer to participate in the programme is valid only under the condition that the participant obtains a visa to travel to Sweden. SI will facilitate the visa application process, but we cannot guarantee a visa. In recent years, candidates living in conflict-ridden areas have in a few cases seen their visa applications rejected. The last date to submit online application is 7 May 2019.